The number of entries has multiplied since 2016 : 157 entries from 12 countries participated this time round. All the finalists, together with photos and descriptions can be found this year at www.procarton.com. The prizes will be awarded on 15th September 2016 in festive surroundings at the ECMA Congress in Antibes/Juan-les-Pins in France. NEW 2016: the #pcyda16, the Pro Carton Young Designers Award 2016, will this time award an additional prize from the public – based on online voting. Vote now on www.procarton.com for your favourite and win an iPad Air! 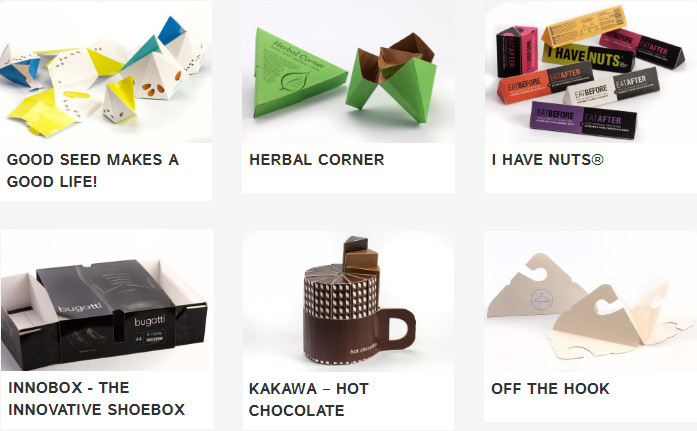 The International Pro Carton Design Award honours new, not yet realised design ideas by students in the area of cartonboard applications. The idea being to discover innovations throughout Europe and present them to the public. In this way, Pro Carton sponsors young designers and accompanies them on the start to their careers. A prize based on public votes will be awarded for the first time this year. Using hashtag #pcyda16, the participating designs will be showcased on numerous social media channels. The winner will receive an iPad Air, and there is also an iPad Air to be won among the voters. The submitted concepts are both numerous and varied and many are participating in the public voting. The Jury had plenty of hard work, but also a lot of fun with the many creative ideas. Satkar Gidda (SiebertHead, Chairman of the Jury) was responsible for Design and Marketing, Wilfried Duivenvoorden (Unilever) for the brands. Lotte Krekels (Carrefour) contributed the perspectives of the retail trade and Peter Strahlendorf (Publishers „New Business“) represented the market and consumers. Peter Klein Sprokkelhorst acted as consultant to the jury with regard to the technical finesse of the submitted solutions. On 15th September 2016, the prizes will be awarded in festive surroundings at the ECMA Congress in Antibes/Juan-les-Pins in France. The finalists and prize winners will be documented on the Pro Carton website (www.procarton.com) on 16th September at 00.00 hours: with short videos of the jury’s discussions for the various categories, with print-ready photos and comments by the jury as well as the success stories.